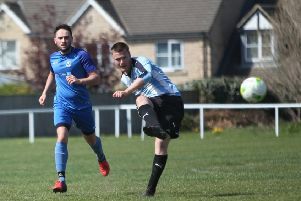 Warley must travel to Queensbury in the second round of the Parish Cup, having knocked out holders Triangle on Sunday. Their hosts went down from the top flight last season but have a couple of useful slow bowlers in Amjid Ali and Gurdev Singh. Warley, who won the competition four times in six years at the turn of the century, will hope to have too much all-round strength for their hosts. Thornton receive another Calder Valley side, Booth, after knocking out last year’s beaten finalists Mytholmroyd in the first round. Clayton have drawn the short straw and must make the short trip to play champions and league leaders Jer Lane. Last year’s middle section top two clash at Sowerby St Peters, where Northowram Hedge Top are the visitors, while there could be little between Copley and SBCI, who have both lifted the trophy in recent years. Warley seconds continue their quest for a third Crossley Shield triumph in four years at home to Sowerby St Peter’s. Parish Cup, second round: Great Horton PC v Sowerby Bridge, Copley v SBCI, Blackley v Denholme Clough, Sowerby St Peters v Northowram Hedge Top, Shelf v Greetland, Thornton v Booth, Jer Lane v Clayton, Queensbury v Warley. Matches on Sunday, May 22. Crossley Shield, second round: Bradshaw v Old Crosleyans, Northowram Hedge Top v Queensbury, Booth v Great Horton PC, Denholme Clough v Blackley, Triangle v Copley, SBCI v Upper Hopton, Warley v Sowerby St Peter’s, Mytholmroyd v Bridgeholme.